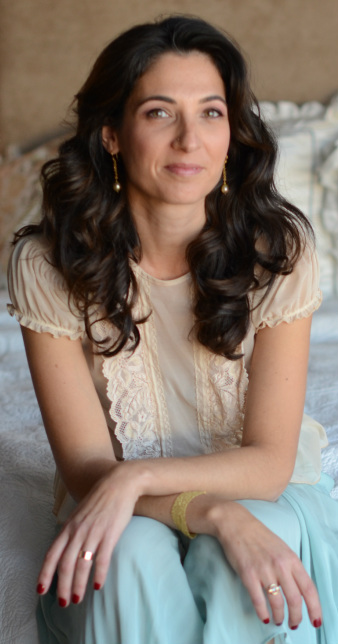 Dimitria Koumarnetos is a first generation Greek from NY, her love of jewelry started 1991 with a 3rd generation antique dealer on Madison Ave, Edith Weber & Associates. Her mentor & Antique Roadshow Expert, Barry Weber, shared a wealth of knowledge that she took with her to San Francisco. Moving to the Bay Area in 1998 brought Dimitria to a custom jewelry store in San Francisco, David Clay Jewelers, where she dedicated herself for 8 years. Dimitria later moved onto to Shreve & Co. as their Merchandise Manager for their 2 Bay Area locations. Presently, Dimitria has been appraising and consulting for retail & wholesale jewelry businesses in the San Francisco Bay Area and now in Rhode Island. Dimitria Koumarnetos has been buying and selling jewelry since 1991. She has been appraising jewelry since 1998 educated by GIA as a Diamond Grading Graduate. Dimitria attends trade shows regularly to understand the current market trends and pricing, buying and selling for stores and private clients. Dimitria also keeps up with current treatments on gems and jewelry through courses offered in the trade through GIA, AGTA, GemWorld. She is a member of the DDI, Diamond Development Initiative striving for ethical diamond mining and lives by a strong code of ethics in her personal and business relationships.